" Nora keeps running............the sea is close now, the air rich with the salty tang of rust. To the east of the creek path, the squat trees and hawthorns with their delicate twirls of new leaf-growth have given way to open grassland." Nora has come home to the Sussex coast where, every dawn, she runs along the creek path to the sea. In the half light, fragments of cello music crash around in her mind although it has been more than a year since she performed in public. There are memories she must banish in order to survive, including a charismatic teacher with gold-flecked eyes. At home her mother, Ada, is waiting. A fragile, bitter woman, slowly slipping into the mental confusion of age she spends her days recreating glamorous images of her past and her memories provide the background history of Nora's family. Ada does not want Nora at home - the tension and resentment between the two is obvious from the start although the secrets each has buried are not completely revealed until the end. One day, Nora finds a half-dead fledgling in a ditch. She brings him home and with the help of Harry, the enigmatic handyman, over the summer months nurses him back to health. 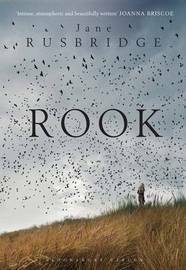 During this time life in the village of Bosham is disrupted by the arrival of a young documentary maker who wants to shoot a film about the body, believed to be the illegitimate daughter of King Cnut, buried under the flagstones of the local church. A beautifully written novel - the prose is lyrical and creates a marvellous atmosphere - but not the light and relaxing read I originally assumed it would be. It was the writing which carried me through the first part as I struggled to grasp hold of the story. English history, music, birdlore and personal relationships - so many different threads, the brief fragments of each coming and going so quickly it was confusing. Eventually, of course, all these seemingly unconnected pieces begin to come together , the pace quickens and I found it hard to put down. It's a lovely story of buried secrets, of loss and grieving ,of healing and hope for the future. I recommend! Not a title I've come across at all, but your review certainly makes me think it would be worth seeking out, thank you. I hadn't heard of it before spotting it on the library shelf. Hope you will find and enjoy.